mTrip Travel Guides submitted to Apple today! 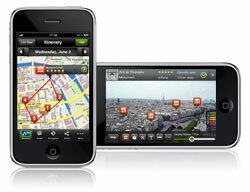 mTrip Travel Guides for iPhone and iPod Touch is almost ready to launch! We are excited to announce that after months and months of hard work, we finally submitted our application to Apple today! We will offer nine US and European city guides in five languages. We think we have a pretty unique product to offer so we can’t wait for you to check it out. We really hope you like it! Once mTrip is accepted to the App store, we will launch our brand new website along with a DEMO VIDEO for you to see the product in action. Stay tuned for more info on the fast-approaching launch date! Click on Like to receive an alert via Facebook.